After my years in the military, I have learned how to sleep just about anywhere and on any type of surface. Falling asleep on the concrete floor of a hangar at the airfield was common practice while we waited for a clear weather window prior to airborne operations. But just because I could fall asleep didn’t mean that I wouldn’t wake up with sore joints, a crick in my neck, or numb appendages. You can imagine what I would have given for a nice soft sleeping mat like the Klymit Insulated Static V. One of many products in the outdoor market today that has been developed with an emphasis on fast-and-light design, the Static V is one of those pieces of kit that can really provide an element of comfort while in the field. 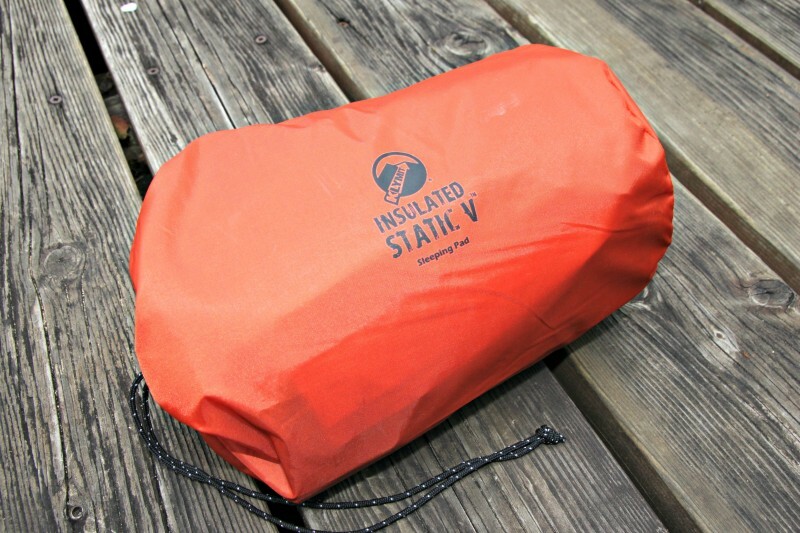 The Static V rolls into a compact, portable package that takes up very little space in my pack. The design of this pad is different from many pads on the market; V-shaped chambers prevent air from moving throughout the pad, and instead keep the warm air trapped in place. In cold environments, the added synthetic insulation and the body-mapped chambers have kept me comfortable and warm on rocky and snowy terrain. Body-mapped design: The Klymit Insulated Static V, along with the entire Static V line, is designed to mimic the muscular structure of the human back. Each chamber of the V has very small channels that limit air movement and prevent cold spots from forming in the mat. At first blush, the design did not look very comfortable, but once I lay down on the mat, my opinion completely changed. The ridges blend together with a sleeping bag to create pockets of warmth, leading to a smooth, comfortable night’s sleep. The same design exists on the bottom of the mat, reducing the surface area of the pad in contact with the ground and consequently reducing conduction of heat away from the mat. Push valve: The push valve is available on all of Klymit’s sleeping mats. Instead of a twisting valve that takes multiple turns to get opened or closed, this valve will close with a simple push and quarter turn. To open the valve and release the air, turn the valve a quarter turn in the opposite direction and pull out. I find this valve type closes quickly and prevents air from escaping after inflation. Stuff sack with patch kit: The small stuff sack fits the rolled pad perfectly. It’s a snug fit, but it isn’t like some pads where they are almost impossible to get back in once unrolled and inflated for the first time. 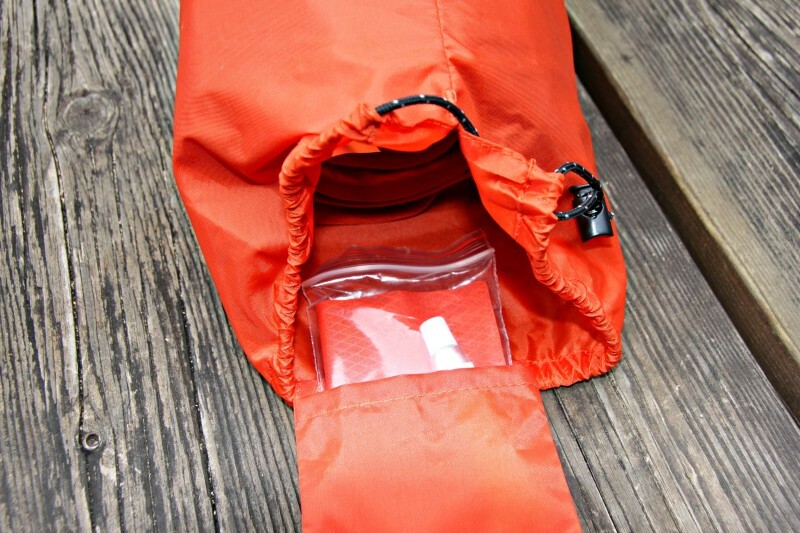 On the off-chance you puncture the mat, the stuff sack has an accessory pocket that comes with a patch kit. Weight: 25 oz / 709 g. This pad is a few ounces heavier than some other similar pads, but what you gain in comfort is completely worth the weight. For those who are super weight-conscious, but want the features of the Insulated Static V, Klymit will be releasing their new Insulated Static V Lite in mid-April, 2015. The new Lite version will be made of a lighter material and weigh six ounces less than the standard Insulated Static V.
Dimensions: 72″ x 23″ x 2.5″ / 183 cm x 58.4 cm x 6.5 cm. This pad is a little wider than some other pads on the market. I like the extra width and know that if I roll over in the middle of the night, I won’t end up on the ground or on the floor of my tent. If you have a sleeping bag with an integrated pad sleeve, make sure you measure the sleeve to see if this mat will fit. R-Value: 4.4. For those who are unfamiliar with R-values, they measure the thermal resistance of insulation under certain test conditions. The higher the number, the more thermal resistance the mat provides and the less cold transfers from the ground or air to you while sleeping. Inflation: Klymit states the Static V can be inflated in 10-12 breaths. Having a decent lung capacity, I’ve found that nine breaths will get this mat full. This is one of my favorite features of the mat. You don’t have to hyperventilate and feel like you’re going to pass out to get this thing filled. It’s also a great feature when you have been on the move all day and all you want to do is rack out. Packed size: 5″ x 8″ / 12.7 cm x 20.3 cm. The packed size is very convenient and is only slightly larger than my Jetboil cooking system. Combined, they take up very little room in my pack. Fabric: 75D polyester. I have found the material to be very resilient. I have used it without a tent or bivy on a number of occasions. Rocks, dirt, and even a wooden viewing platform haven’t produced visible wear to the mat. If you are looking for a mat to use year-round, the Klymit Insulated Static V is offered at a great price-point and will keep you warm and comfortable in a variety conditions. There are lighter mats out there with similar warmth ratings, but they will also make your wallet a little lighter as well. When I head to the mountains and I know the temperature will be dropping, the Klymit Insulated Static V is my go-to mat for a comfortable night’s sleep. If you are searching for a mat for warmer conditions, you may want to look for something a little lighter, as this pad is probably overkill. With their new lighter offerings coming soon, I am sure my better half will be complaining about another outdoor gear purchase. 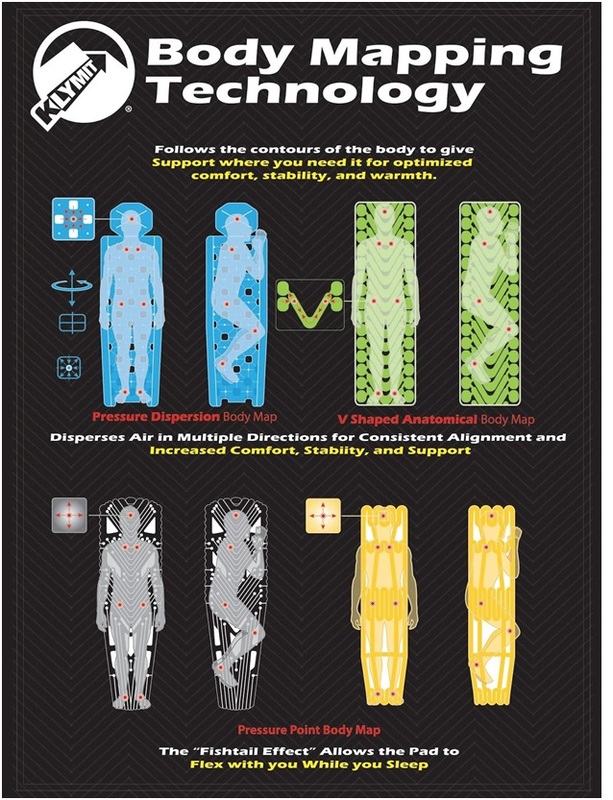 To purchase the Klymit Insulated Static V or to check out their full line of products, go here. Isaiah Burkhart served in 3rd Battalion 75th Ranger Regiment. Almost four years of my time in 3/75 was spent in the sniper section. In all, I spent over 11 years in military service. I am a firefighter/paramedic and hold a Bachelors of Science in Biology from Oregon State University. When not working, I spend most of my time rock climbing, mountaineering, mountain biking, trail running, and occasionally picking up heavy objects.